HARDLINE: nuevo disco "Human Nature"
"Human Nature" saldará a la venta el 14 de octubre de 2016 a través de Frontiers Music Srl. El disco ha sido producido por Alessandro Del Vecchio. BREAKING NEWS: Frontiers Music Srl is excited to announce the return of HARDLINE with the brand new album “Human Nature”, set for release on October 14th. Following the rebirth of the band that happened with the release of “Danger Zone” in 2012, Hardline have regrouped around fabulous singer Johnny Gioeli (AXEL RUDI PELL OFFICIAL SITE) with the excellent production and keyboard skills of Alessandro Del Vecchio (Rated X, Resurrection Kings, Revolution Saints), the shredding talents of guitarist Josh Ramos (The Storm), and the powerful rhythm section made up of bassist Anna Portalupi (Tarja Turunen) and drummer Francesco Jovino (Primal Fear, JORN). All these musicians have an impressive pedigree, but what makes Hardline special is how well their unique and different talents blend together. 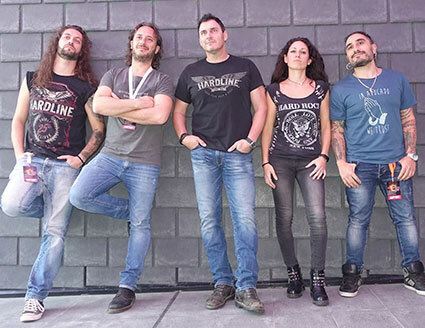 HARDLINE: nuevo tema "Nobody's Fool"
HARDLINE: detalles de su nuevo disco "Life"
Hardline ha anunciado que su nuevo álbum de estudio, "Life" será lanzado el 26 de abril de 2019 a través de Frontiers Music Srl. BREAKING NEWS: Hardline have announced their new studio album, LIFE will be released on April 26, 2019 on CD/LP/Digital via Frontiers Music Srl! Hardline is back with a new studio album, “Life”! In the past two years, Hardline has performed a number of shows across Europe, including festivals and more intimate gigs, and that live “energy” can certainly be felt on their new studio album. 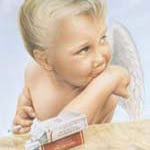 The band went back to 1992's “Double Eclipse” album for influence for the songs on this record, but additionally they also looked a little closer in the rearview at the tremendous predecessor to this album, “Human Nature”. The resulting album, LIFE, perfectly blends the influences of those two albums and sees Hardline heavier, stronger, bigger, and better than ever. The band entered the studio feeling loose and relaxed from all their gigging. The two newest members, Marco Di Salvia on drums and Mario Percudani on guitar, had gelled seamlessly with the rest of the band from all those shows and combined with Anna Portalupi's pulsating rhythms and Alessandro Del Vecchio's songwriting and production abilities, LIFE was almost effortless for the band to create. And of course, Johnny Gioeli sings like only he can over top of these incredible musicians. 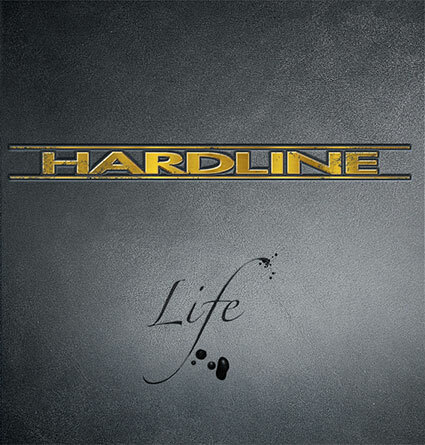 HARDLINE nuevo tema: "Page Of Your Life"